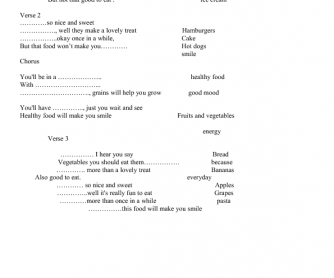 It is a song worksheet about eating healthy food. 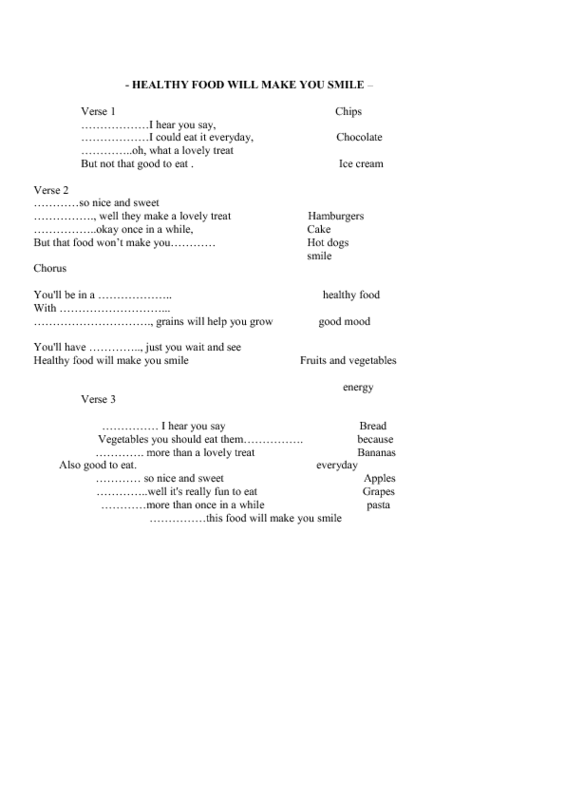 Students have to listen to the song and fiil in the missing words which are given in the worksheet. You may find the song on You Tube by the same title. It is a good activity about eating healthy food, good eating habits or a lesson about fruit and vegetables. Hope you like it.